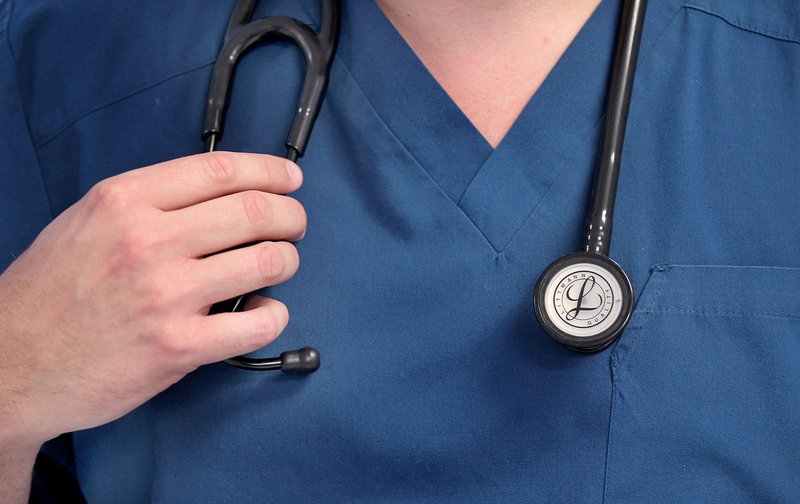 So why are women doctors still paid less than their male counterparts? New research shows that when a health crisis hits, a doctor’s gender could influence a patient’s chances of survival. Under an administration with a blatantly dim view on civil-rights issues, looking at how gender works in our medical institutions will say a lot about how women will fare in the health-care system under Trump, whether they’re wearing a white coat or a hospital gown. Researchers at the Harvard School of Public Health recently analyzed how both the nature of gender and the surrounding social patterns have real-life, quantifiable health impacts: Patients treated by women doctors fared better than those treated by their male counterparts. 32,000 fewer patients would die each year if male physicians could achieve the same outcomes as female physicians. Is the answer then to hire more female doctors and pay them more? Not quite; the root cause is less about Dr. Jill’s versus Dr. Jack’s bedside manner than about the social systems shaping their careers. Systemic gender bias buttresses the whole health-care infrastructure. Though the findings are limited by the demographics and binary gender categorization, the study illustrates how gender divides systematically influence patient experiences. Among older patients, critical health issues turn on subtle differences in practice that are linked to gender identity. In a way, this matches the stereotype that women are “natural” caregivers, but there is truth—whether from nature or nurture—to the idea that women tend to be more focused on the patient and interact more sensitively to patient needs. This could reflect “feminine” socialization, or gendered experiences throughout one’s education and developmental years. But it also reflects the realities of working in a health-care system that prioritizes commercialism, monetizes treatment and care, and measures “quality” in narrow statistical terms and insurance payments. It’s true that feminism as a political concept has benefited the health-care field, and that gender-conscious standards, practices, and social policy are vital to strengthening public health. But to say “women do it better” is missing the point. It’s also missing the point to say that the answer is recruiting more women into medical school or automatically writing off the capacity of male doctors to be equally caring. Indeed, the types of holistic care associated with truly better outcomes are, sadly, at odds with the current health-care system and the policies undergirding it. Gender divides reflect gender bias in every component of medicine, from training to sexist stereotypes among employers. For example, gender salary gaps reflect wide pay differences in specialties, such as surgery, that are dominated by men. But pay discrimination persists even within the same field; women across different medical subfields generally earn less than their male colleagues. This may be because of the structure of work schedules, as women who are primary family caregivers may be constrained to lower-paying fields with steadier hours, like primary care. Mirroring the trend of salary discrimination among disproportionately qualified women doctors, women in lower-paying sectors also tend to have higher education credentials than male peers—meaning that women aren’t just paid less for equal work but also paid even less for doing more and better work. Soon both health equity and gender justice may see a regression, at least at the federal level under Trump and a Republican Congress. Tom Price, as head of Health and Human Services, threatens to drastically undermine programs supporting women’s health and reproductive health, including contraceptive access. Similarly, Trump is expected to shift the ideological bent and agenda of the Supreme Court and the Equal Employment Opportunity Commission, which could impact gender-equality issues in the workplace. On top of rightward shifts on civil rights, the Republicans’ planned budget cuts would undermine working women’s access to health care and potentially exacerbate gender wealth gaps in the health-care professions. The struggle may then fall to local and state governments and individual workplaces. If Trump stymies political progress on gender equality in health care, women will have that much more of a stake in the coming policy battles over discrimination. For women doctors, their careers depend on it. For women patients, their bodies are on the line. If the White House doesn’t respect women, though, the institutions and clinicians doing care work can lead by example, as workers, caregivers, and community members.